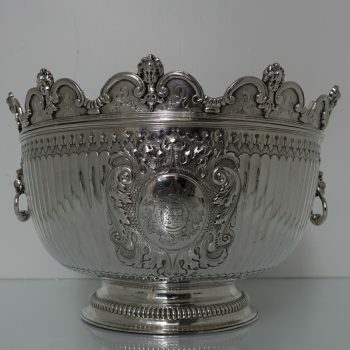 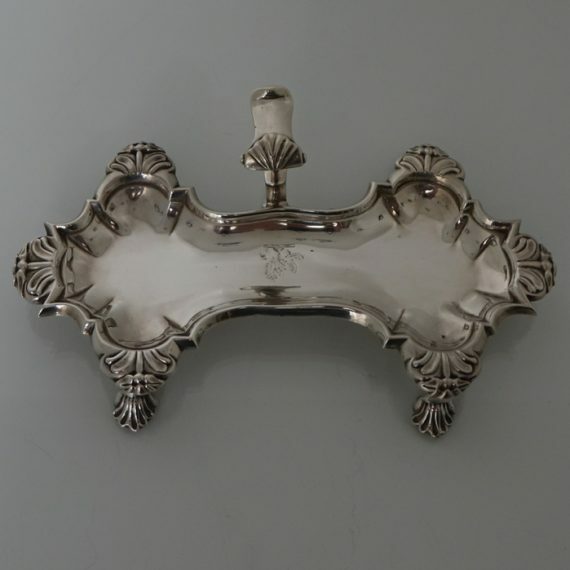 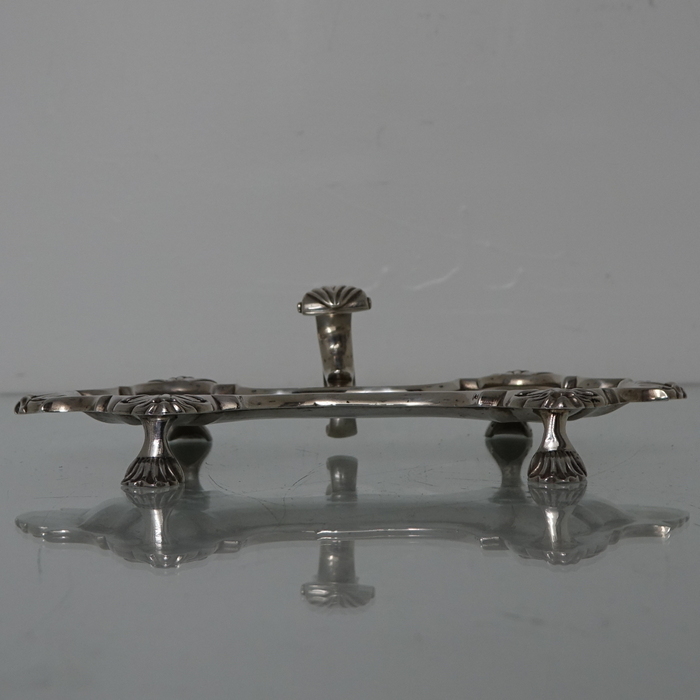 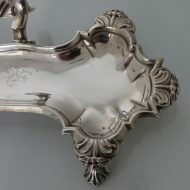 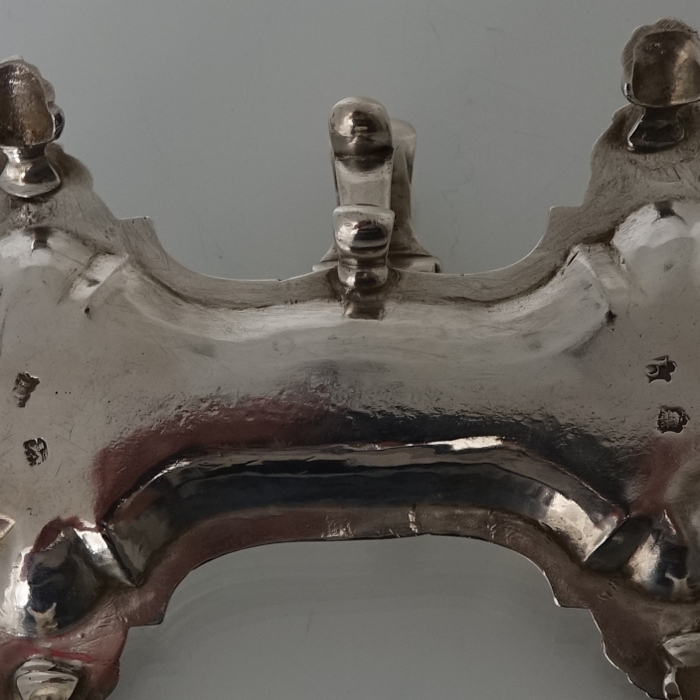 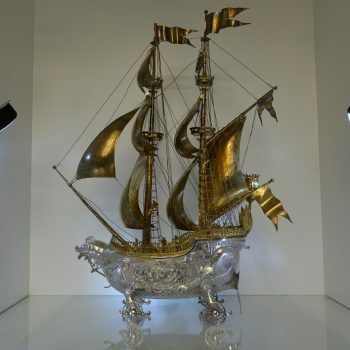 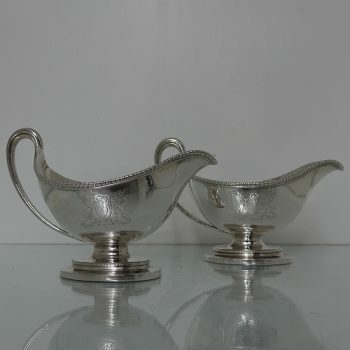 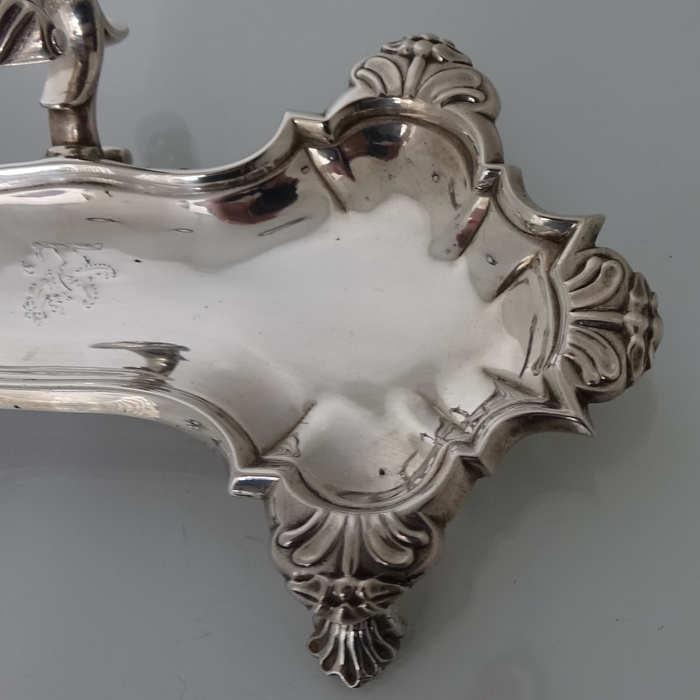 A very good quality and extremely stylish Georgian snuffer tray sitting on four ornate feet. 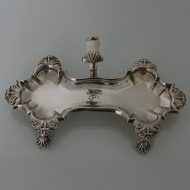 A very good quality and extremely stylish Georgian snuffer tray sitting on four ornate feet. 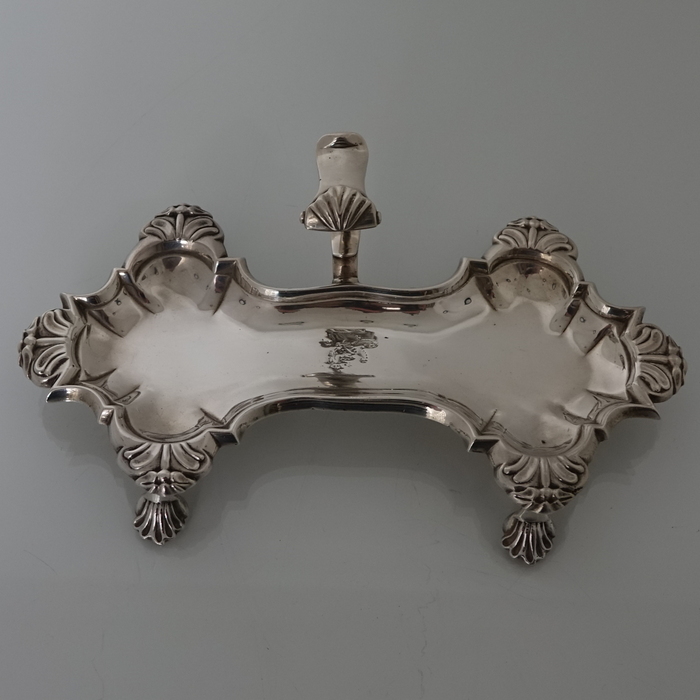 The snuffer tray has an applied decorative raised handle with thumb piece. 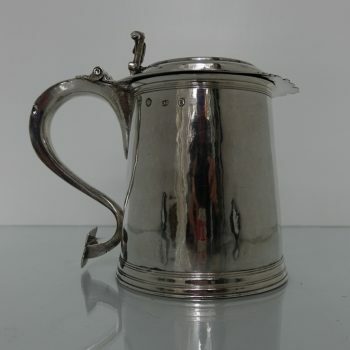 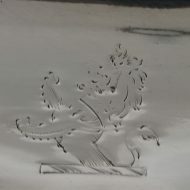 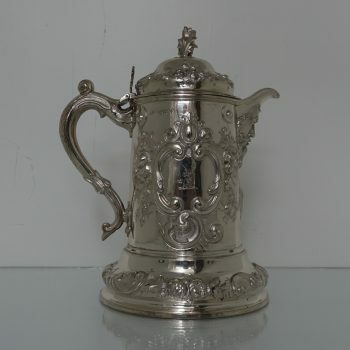 There is a contemporary hand engraved crest for importance. 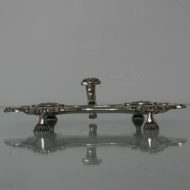 Condition: Very good throughout. 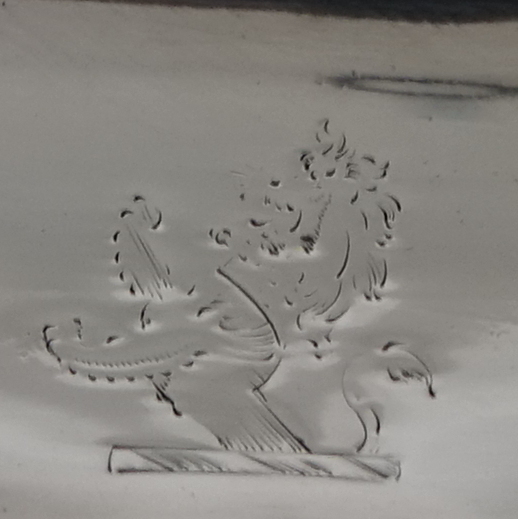 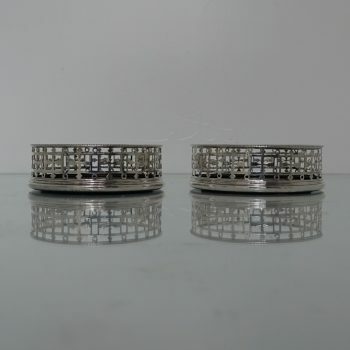 Slight time aged wear to crest.